Our church is currently going through the book of 1 Peter. In Peter's letter to the Christ followers, scattered throughout Asia Minor, he gives them reasons to praise God. Peter moves dramatically from ecstasy to agony. In the verses preceding this he talks about the hope we have in Christ, a living inheritance and being shielded by the power of God. Peter moves from praising God because of the hope we have in Christ, to praising God because He will give us hope in our trials. This is a drastic shift in the direction he was going. The question is not “if” a Christ follower will experience trials but “when” you will experience trials. Now if you’re like me, when I placed my trust in Christ I was told it would better my life. I was presented with the Gospel about accepting Christ to help me with my problems, not give me more problems! Trials in our lives are bound to happen whether we believe in Christ or not. What is the role of trials in your life? Let me share three roles that trials play in each of our lives. The first role trials play in our life is to grow us. Peter said that trials prove the genuineness of your faith. Think about a trial that came in your life that served to grow you. Maybe it was serving in a new ministry. Maybe it was talking with your family about your faith in Christ. Maybe it was breaking off a relationship that you knew didn’t honor God. As you approached this trial you put in extra effort. You had to think more, pray more or look at the problem from a different angle. Now, on the other side of this trial, you can see how it shaped you into a the person you are today. The Bible tells us a great story in the book of Genesis about a trial that shaped the life of a young man. Le me tell you the short version of the story. Joseph was the favorite son of his father. He was sold into slavery by his brothers. He was falsely accused by his master’s wife. He was imprisoned and felt like God has forgotten him. After thirteen years he was promoted to second in command over Egypt. He forgave his brothers and saved his family (read Genesis 45:4-5). God used this trial in Joseph’s life to grow him and save others! Joseph was able to praise God because he saw how this trial lead to further maturity in his life. Peter says, “All kinds of trials”. Each us you have a different story because God has given you a unique path to walk in life. Some people seem to have a trouble-free life, while others seem to struggle at every turn. Think of some examples of this: some couples have a great marriage while other couples struggle to find harmony. Some people have a wonderful boss while others writhe under poor leadership. Some people have financial peace while others barely make it. One trial that might be hard for me, could be simple for you to endure. Trials are all varied. If you are going through a trial right now, and many of you are, you might not want to praise God. You might actually prefer to curse God or at minimum give Him the silent treatment. I’ve been there. I’ve experienced painful situations in my life, to which I don’t have time to go into right now, and had no desire or ability to praise God. I’ve stood in church singing with my lips while my heart has been stone cold because of what happened. That might be you today.What I’ve learned is that trial will pass. The pain won’t be forgotten. But God won’t forget you in the trial. There will be a day you can praise Him because the trail you’re experiencing today is growing you. When you experience trials you can rest assured they are controlled by God. This brings comfort in pain. Our trials will not last forever. When God permits His children to go through the furnace He keeps His eye on the timer and the thermostat. There are times in each of our lives where we feel like God has turned up the heat too high and accidentally set the timer for too long. It can feel like the pain is unbearable. Peter illustrated this with the example of the goldsmith. Fire does not destroy gold; it only removes combustible materials. The fire refines the gold and makes it pure. 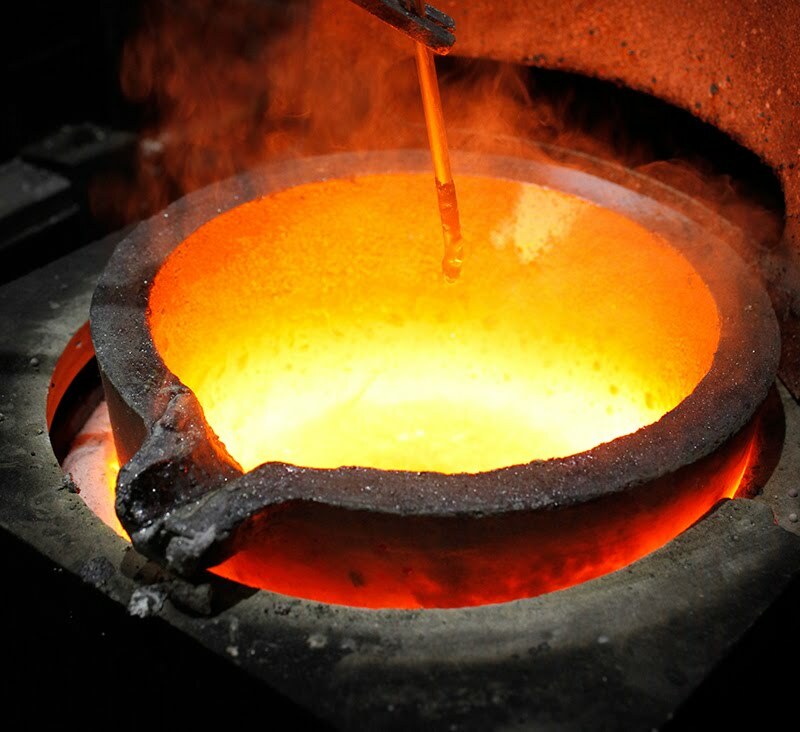 The goldsmith doesn’t want to waste the ore just as God doesn’t want to waste your life experiences. The genuineness of your faith shines when it’s in the fire. As Jesus prepared for His crucifixion, He told His disciples they would have troubles in this world (John 16:33). Jesus also promised that He would always be with you during every situation you encounter (Matthew 28:20b). This week I kept a list of the trials that I heard about from people in my life. Let me share some of what others shared with me: someone having heart surgery, a co-worker committed suicide, someone lost money at their company, a person diagnosed with cancer, a friend who lost a job, sick family member, dealing with racism at work, overcoming my past, infertility, struggles with kids and divorce. These are some tough trials and this is only from one week! This is where we, as a body of believers, need to come alongside each other and support each other in the various trials we experience. We all know that our trials will only last a little while, but our hope in Christ is eternal. If you are going through tough times right now, listen to what Edmund Clowney has to say about trials: “Trials should not surprise us, or cause us to doubt God’s faithfulness. Rather, we should actually be glad for them. God sends trials to strengthen our trust in Him so that our faith will not fail.” If you are experiencing a great trial this morning, please don’t doubt the faithfulness of God.